When you snap photos you often won’t have time to make sure that every aspect of the setting is ‘picture perfect’, so to speak. 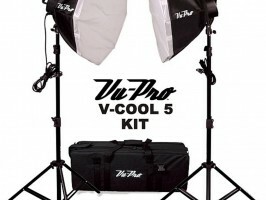 In fact in most situations there may be multiple problems with it, such as the lighting, frame, or even objects and people that are in the background. Outside of a studio setting it is close to impossible to control every element in the shot – which is why photo editing is so important. With the ability to edit your photos after the fact, you will be able to fix any imperfections or issues and make sure they are the best version possible. 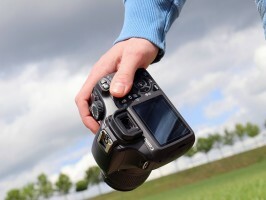 On top of that you could also do more than that – and stylize your photos to give them a unique look. Odds are you’re already well-versed with the benefits of being able to edit your photos, but may be stuck at the ‘how’ instead of the ‘why’. That is where Movavi Photo Editor can help as it will give you the means to edit your photos in whatever way you require. What makes it so different than any other photo editors you may have tried in the past however is its intuitive and user-friendly approach. Simply put you won’t need an in-depth knowledge of photo editing or any prior experience in order to use it, and even a complete beginner can start to apply its features right away. 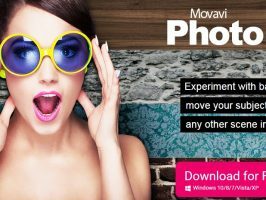 Depending on how you want to edit your photo, Movavi Photo Editor will let you access the tools that you need in just a few clicks via its clean and simplified user interface. Once you do choose a tool to use, you’ll find that applying it is often as easy as selecting an element, dragging one into place, or just adjusting a slider. Because it is that intuitive, even more complicated types of editing can be carried out fairly easily. Within Movavi Photo Editor, you’ll find an array of tools and features that will let you improve your photos on many different fronts. While being comprehensive, it offers a very practical way for you to tweak your photos or even stylize them in various ways. Improve the quality of your photos by adjusting its color settings manually or using the automated ‘Magic Enhance’ feature to do so in a single click. Apply cool filters that can stylize and alter the visual appearance of your photos in creative ways. Adjust the frames of your photo to improve its composition by flipping, rotating, leveling, cropping or resizing it. Brush up your makeup or give yourself a makeover by removing skin imperfections, whitening your teeth, switching your eye color, or applying lip-tints and blushes. Remove any unwanted objects, people or other elements from within the frame of your photo without leaving any traces or imperfections behind. Delete the background from your photo and replace it with a new one or create a transparency. Add various styles of text into your images and customize them to create unique-looking captions, watermarks or titles. As you can see there’s a lot that you can accomplish with Movavi Photo Editor, and indeed it can help you to edit your photos to a professional standard if you take a few minutes to familiarize yourself with its features. Assuming you want to edit your photos but have put it off in the past, here’s your chance to try out a photo editor that makes it possible for you to do so.